Can anyone help Rachel with her enquiry? Please let us know! 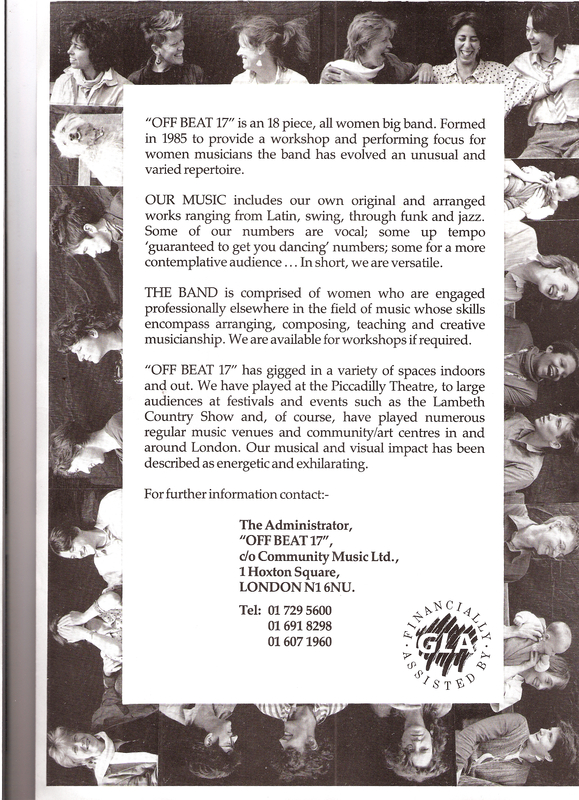 Jana Runnalls, vocal, 6 string guitar, clarinet, take block (bamboo ratchet), kazoo, West African drum, kplanlogo drum (Ghana); Rosemary Schonfeld, vocals, acoustic 12-string guitar, electric guitar, Juno 6 synthesizer, cabasa, Linn drum programme, kalimba, thumb piano, log drum. 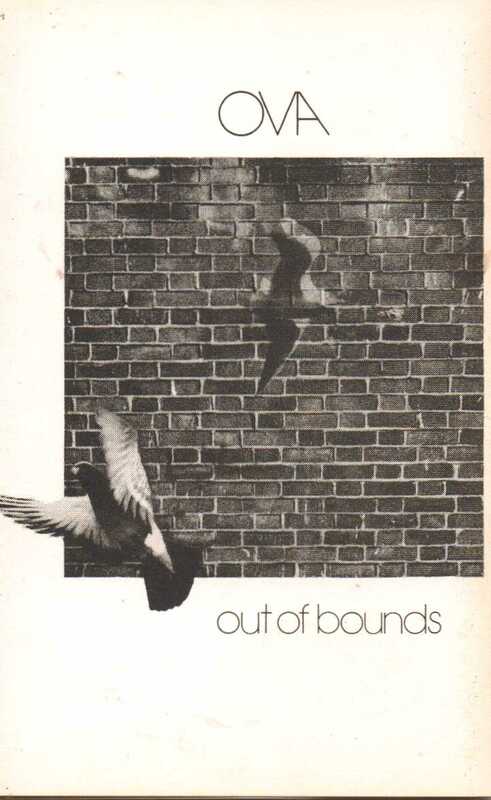 Additional musicians played on the following albums: Ova, Benni Lees, bass; Linda Malone, congas; Sammy, Fender Rhodes/ String Synthesizer; Out of Bounds, Josefina Cupido, drums; Alison Rayner, bass; Helen Hurden, synthesizer; additional vocals from Amazon Voices: Moira, Annie, Lizzie, Jan, Chess, Lindsay and Sybil; Possibilities, Zephyrine Barbarachild, voice, Jenny Gibbs, voice, Susy Taylor, voice, Livvy Elliot, voice and ankle bells; Who Gave Birth to the Universe, Jane Reese, keyboards; Katrina Brown, voice. 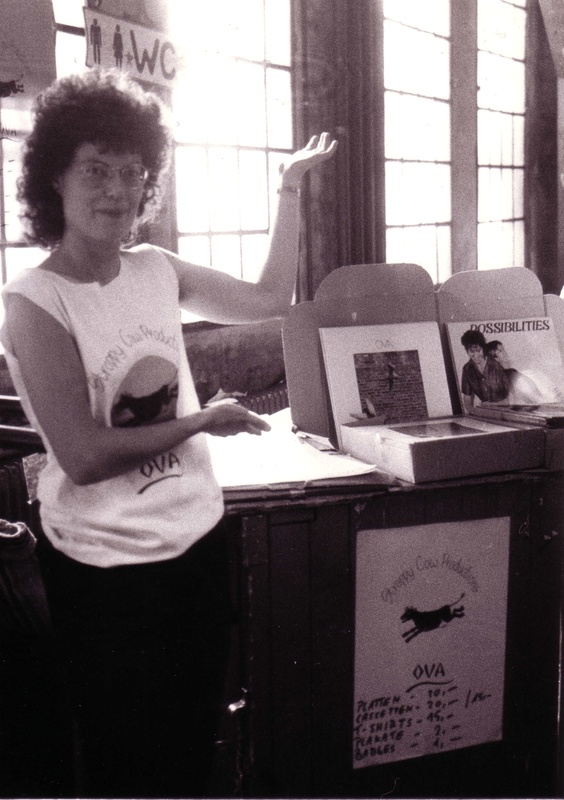 Ova were formed by Rosemary Schonfeld and Jana (previously Jane) Runnalls in 1976. 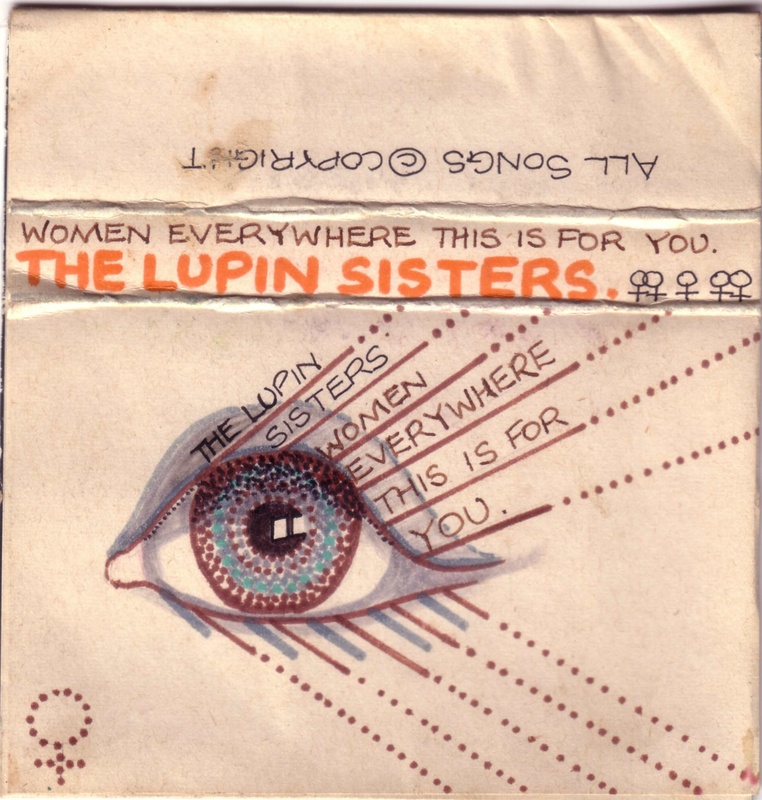 Originally they were a duo called the Lupin Sisters,* named after the catchall surname for the people who lived in the gay squat. 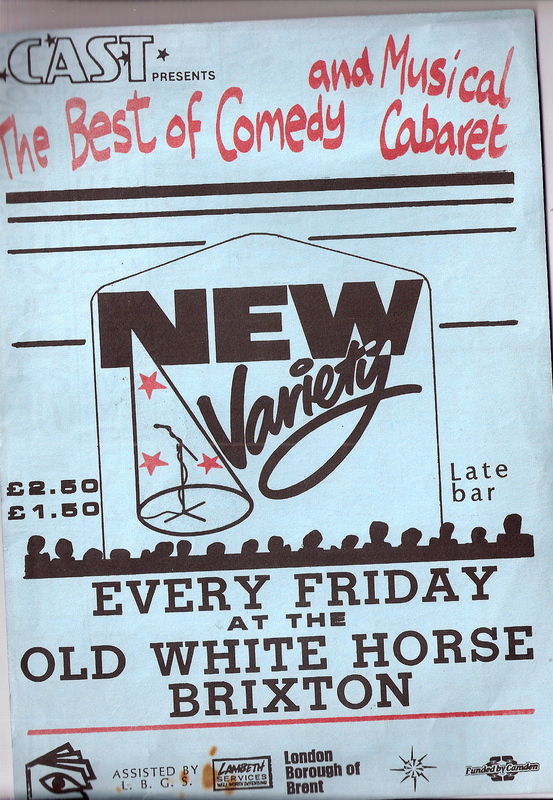 The new name was coined by Sally Beautista, a musician who played in the band. 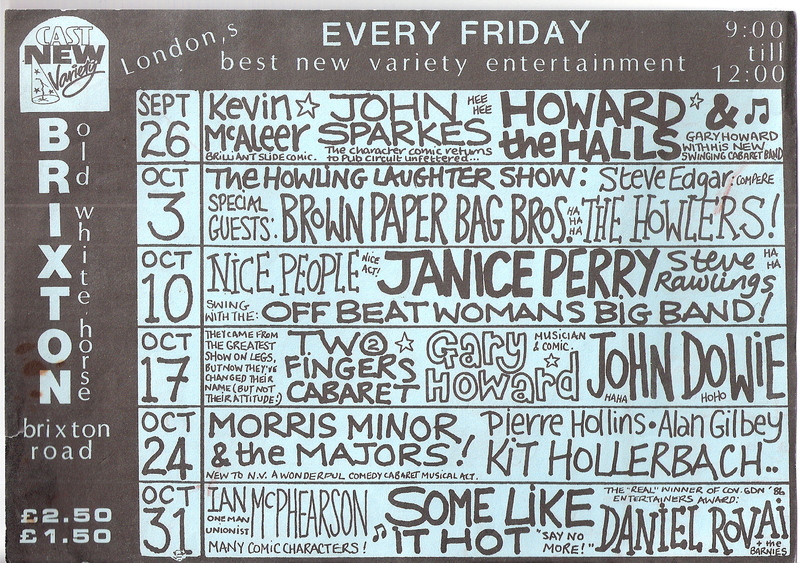 Although when the band first started there were a number of musicians who played in Ova, including Maggie Nichols, Ova were predominantly a duo for most of their performing and recording career. 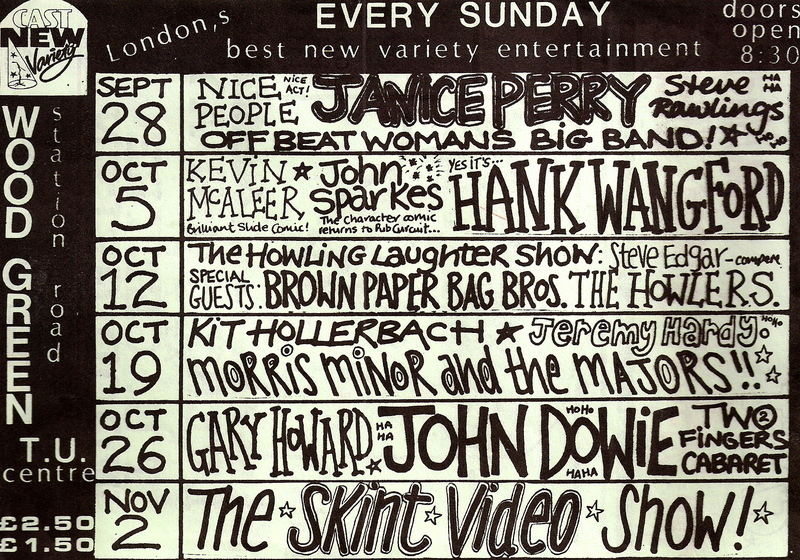 Jana and Rosemary met in London towards the end of 1975. 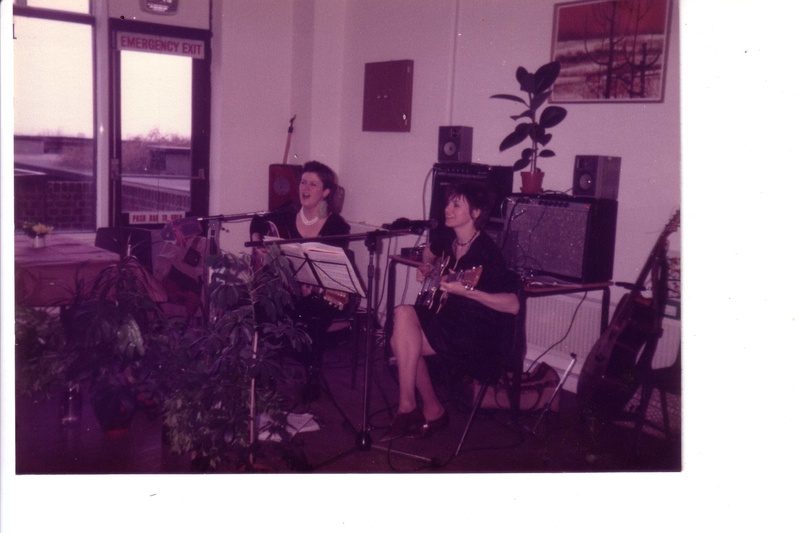 Jana had been living in Paris and was having some success as a singer-songwriter there, and Rosemary, who had grown up in Canada, had been travelling around the world before moving to London where she became involved in the squatting scene. The pair fell in love and started a romantic and creative relationship playing mainly contemporary folk songs and songs by the Beatles. In the mid-1970s homophobia was prevalent throughout society and many of their friends and family disapproved of their sexuality. 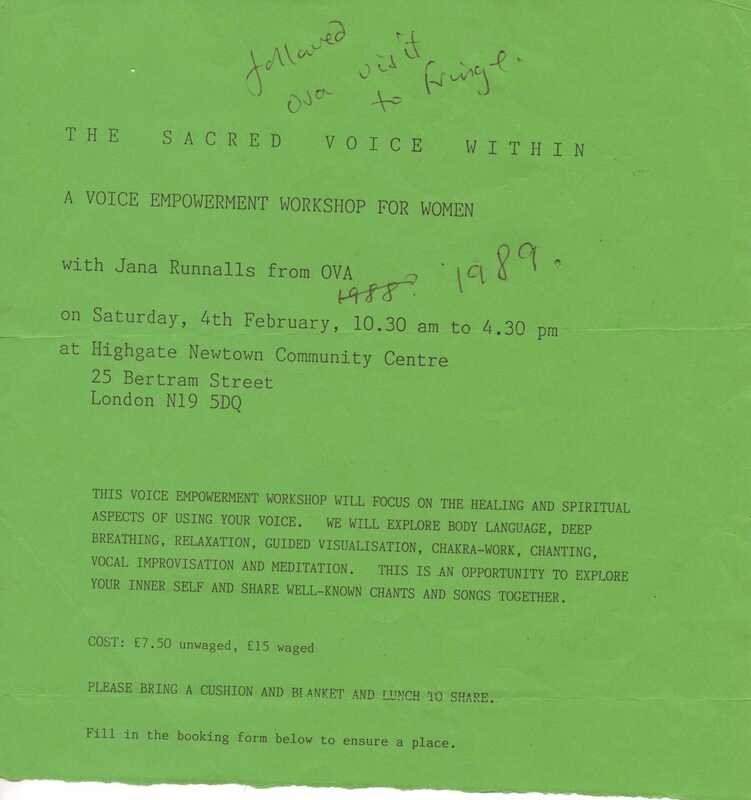 Indeed, Rosemary and Jana were the direct recipients of homophobic violence when they were beaten up and forced out of their North London squat. 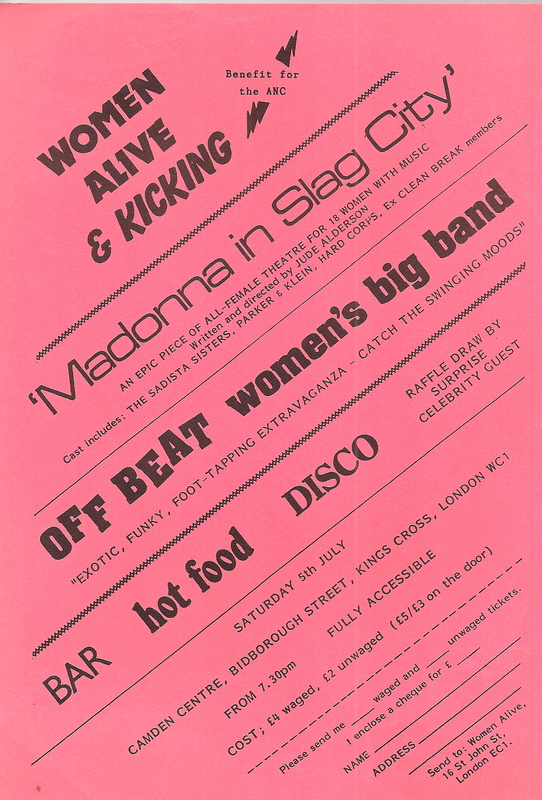 Luckily they found a place to live with members of the Gay Liberation Front in Railton Road, Brixton, a place where radical political culture and squatting in particular, has thrived. 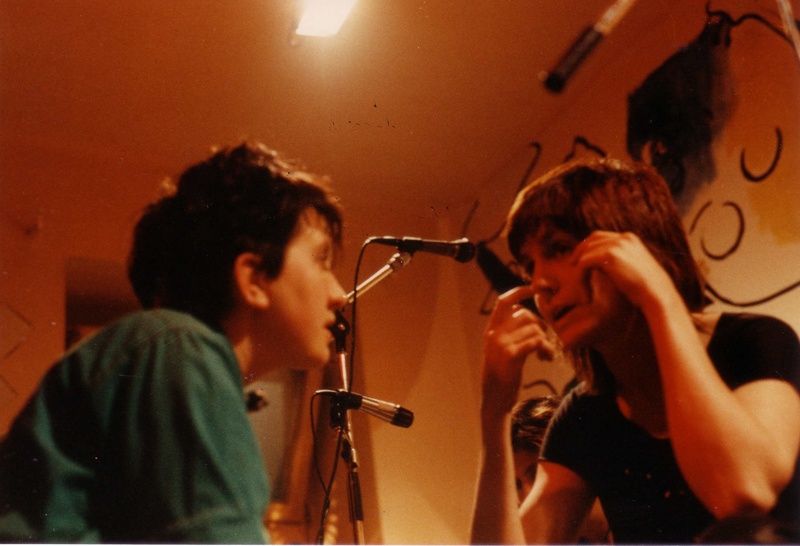 It was in this context the pair became fully politicised learning new words like ‘homophobia’ and ‘misogyny’, and started to use music as a vehicle to express women and lesbian positive ideas. 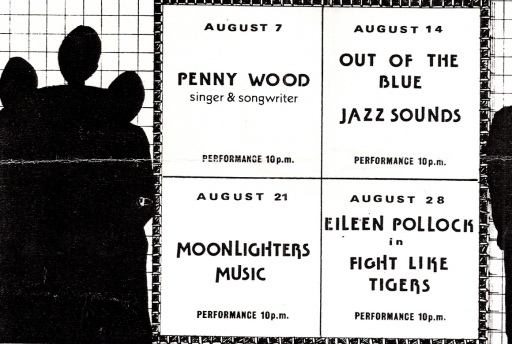 They soon found themselves in the midst of the burgeoning lesbian and gay subculture to which they contributed. 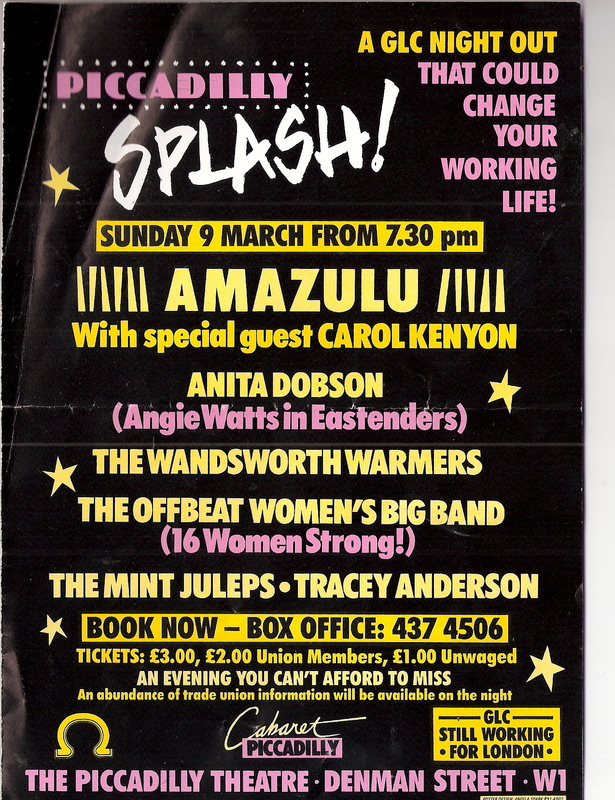 Ova perform as part of the Nottingham Women’s Festival in 1984 (please note that this is the whole documentary. If you want to see Ova they are 30 minutes in). 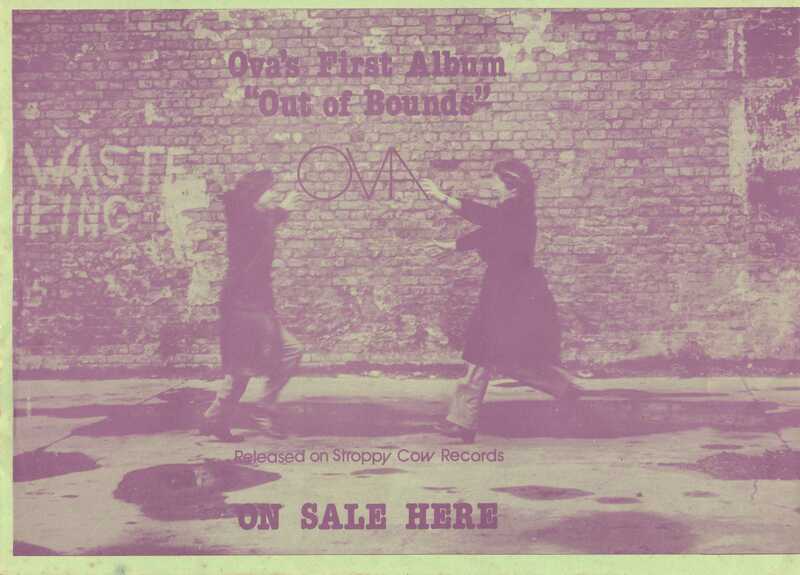 Like many feminist bands of the 70s and 80s, Ova positioned themselves outside of the dominant, capitalist music industry. 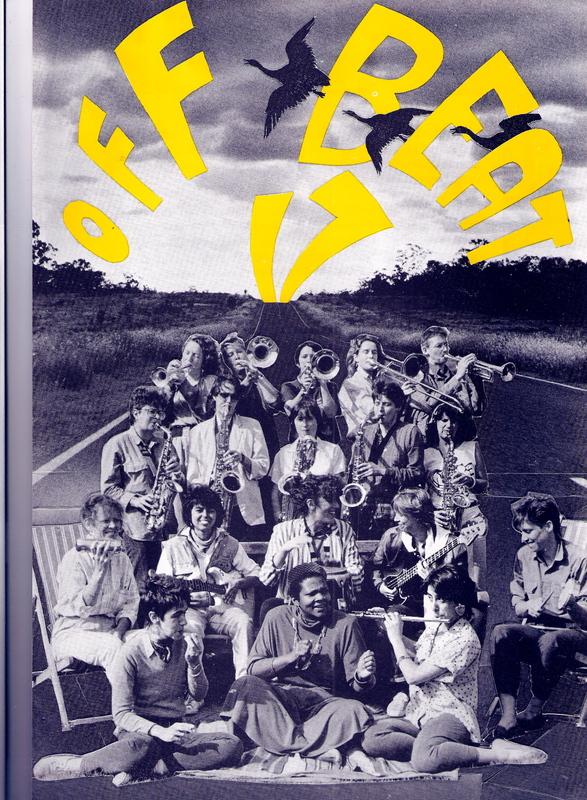 They took full control over their musical output: from writing, recording, producing and distributing their own material. Following the example of Jam Today, the band also had their own PA system and sound engineer. 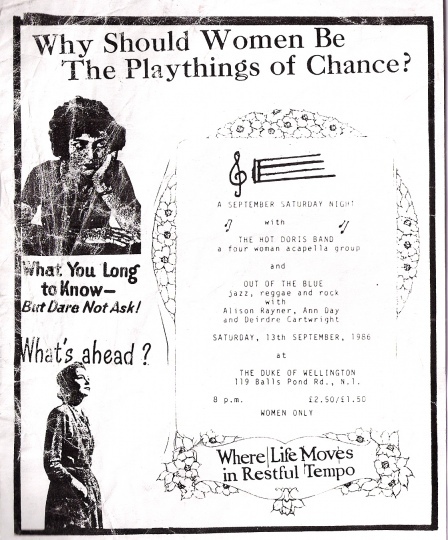 The band toured the UK, Europe, Scandinavia and the United States extensively. 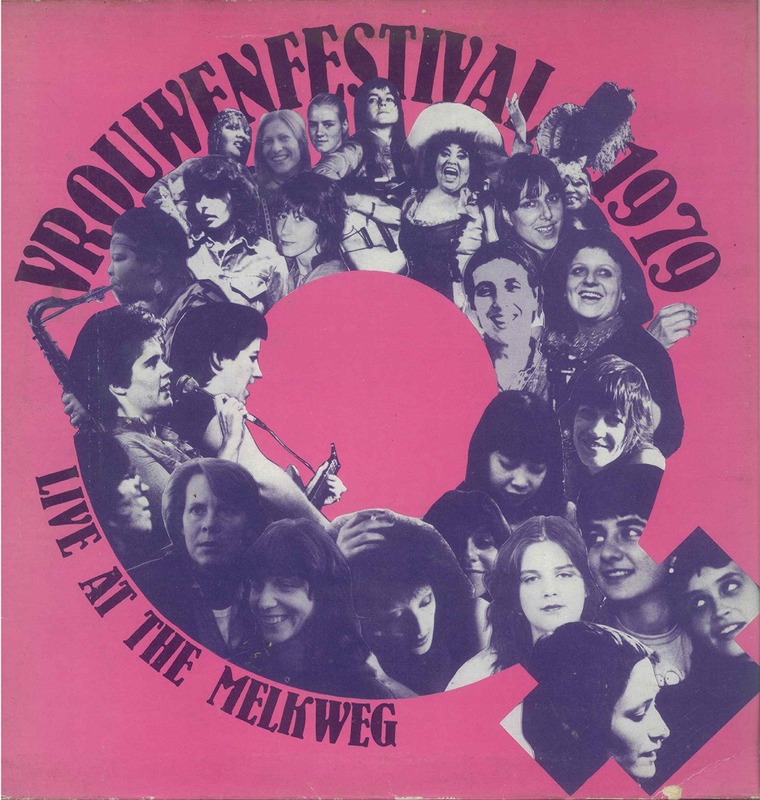 After a performance at the Melkweg women’s festival in Holland, Amsterdam, in 1978, Agnes Lewe, who ran a women’s music distribution business called Troubador, based, Germany, offered to organise a tour in Germany for the group. 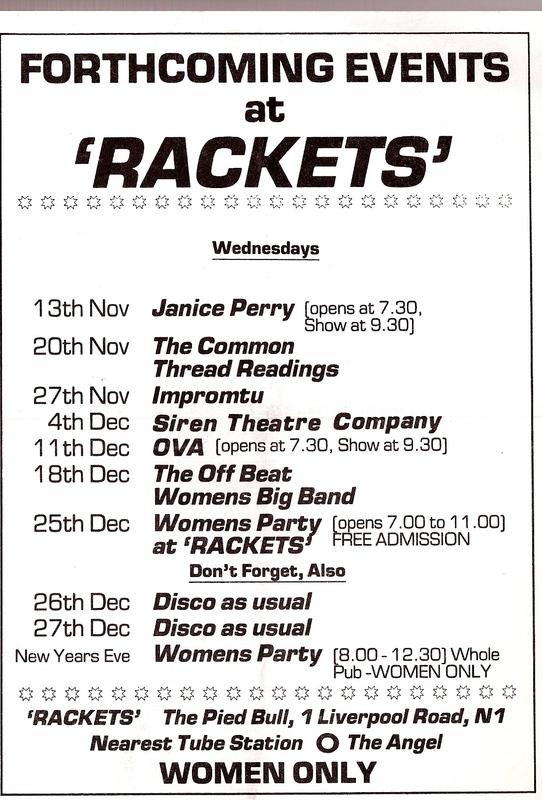 Ova were popular in Germany and toured there on numerous occasions, their last appearance being in 1988, and met a couple of members of the German lesbian band The Flying Lesbians. 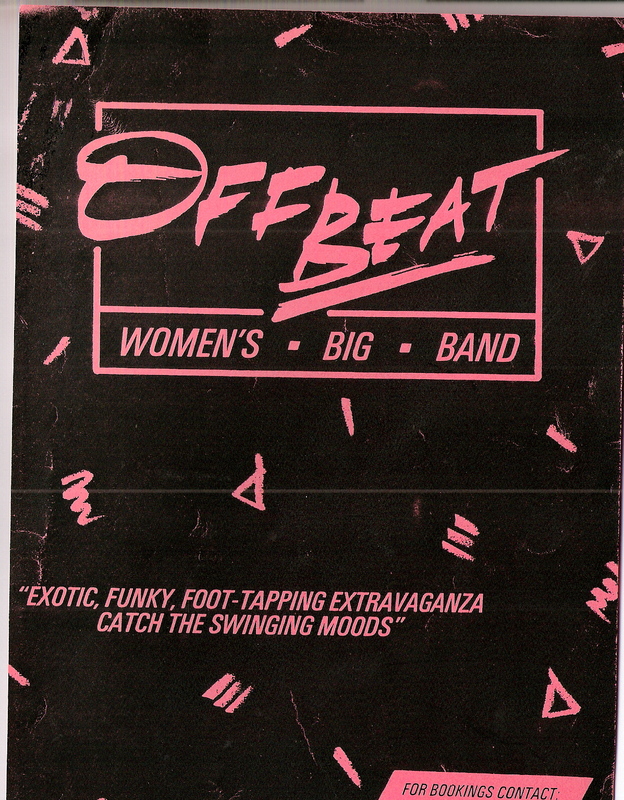 The band toured the US three times, including one coast-to-coast tour and played at the famous Michigan Womyn’s festival in 1980. At the festival Ova were challenged by women of colour over their use of a West African drum. 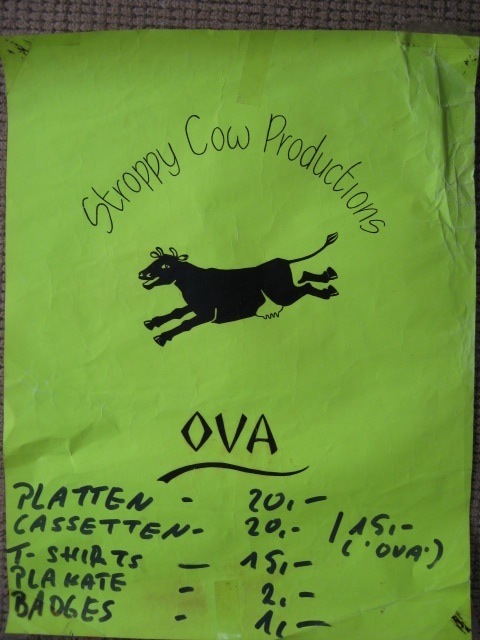 This was a decisive moment for Ova, who would later introduce all the instruments they used on stage, as well as on the inlay of their albums, in order to be sensitive to issues of cultural appropriation. 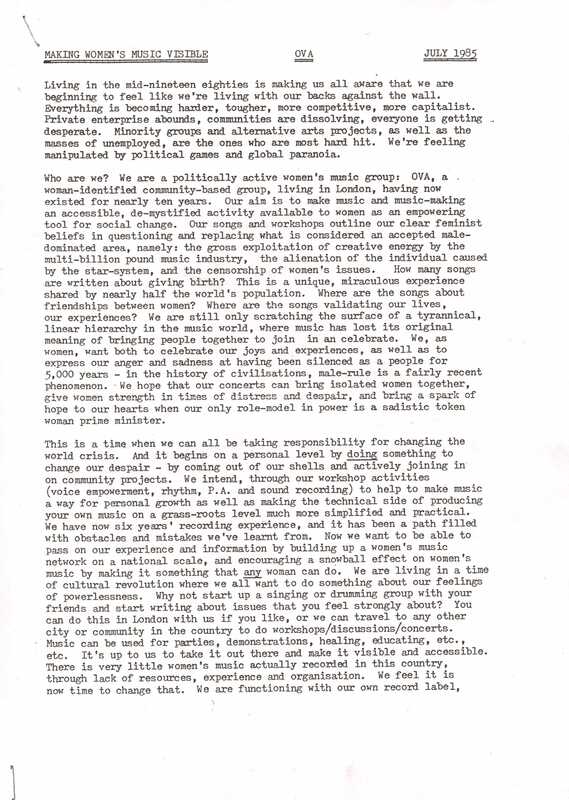 This interview with Rosemary Schonfeld, conducted by Debi Withers on behalf of the WLMA in 2010, contains, as Rosemary says, “a lot of very relevant information about that time, about Stroppy Cow records, Jam Today, how we all were trying to create an alternative to the music industry, the Ova Music Studio, the issues we were all dealing with, how we lived, etc. 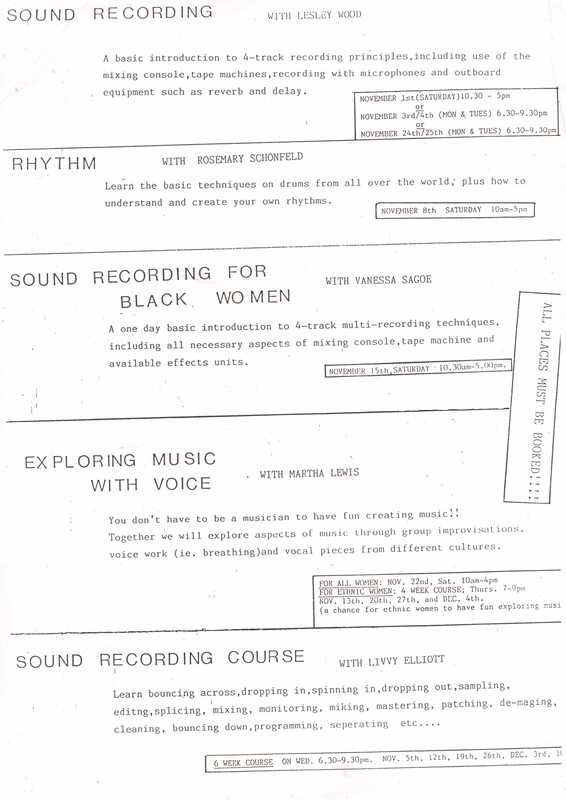 Anyone interested in that era and what we were up to musically and politically would find it informative.” Researchers wishing to use this and other archived Ova material in their work are welcome to contact Rosemary via the WLMA. 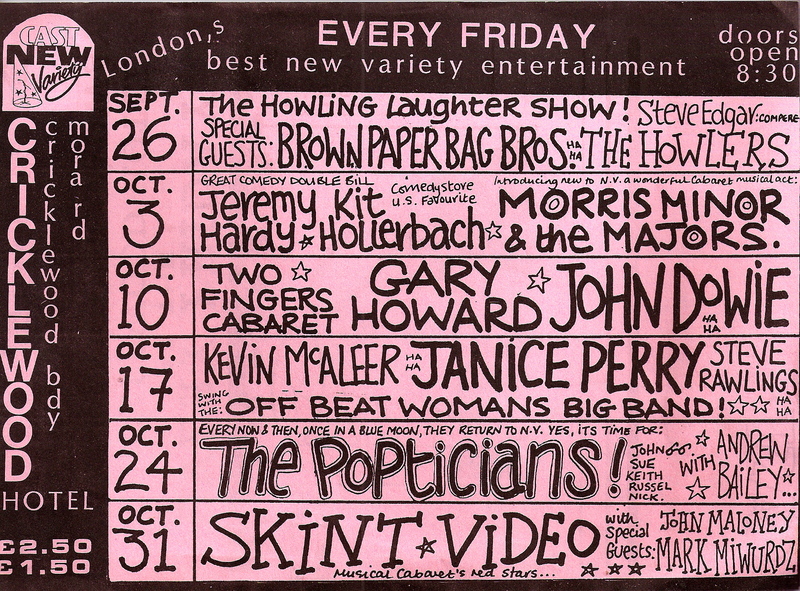 *Just for the record, ‘Lupin’ was originally me and Jamie and Lizzie (Myfanwy) – we all wanted a new surname and my younger brother David had kept alive for me the sheer lunacy of the Monty Python’s Flying Circus gag about lupins, hence the choice of name (you can get some clips on YouTube and even some transcripts – just google ‘Monty Python’ and ‘lupins’). Alice Bondi. 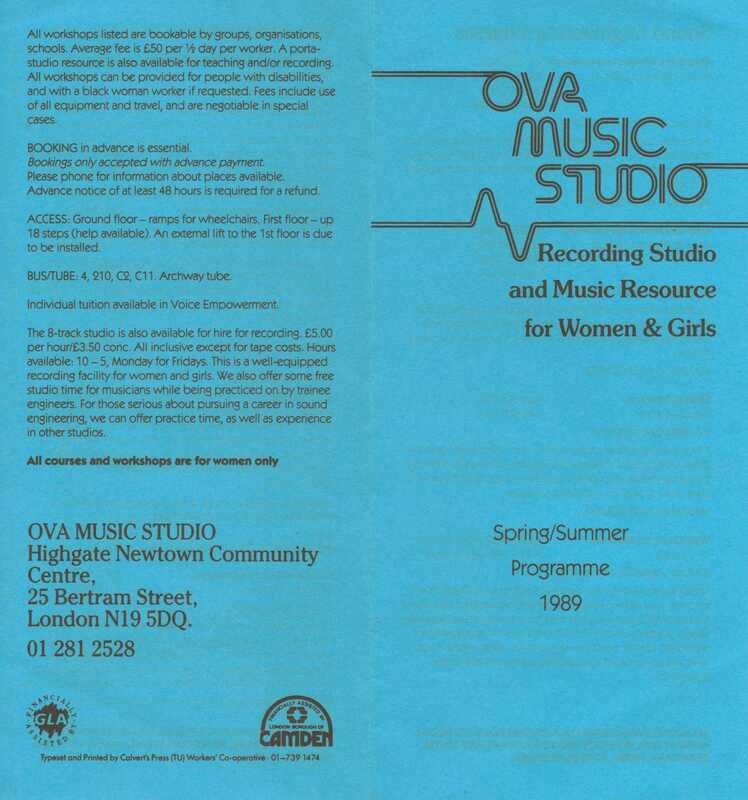 One of the most important contributions to women’s music in the 1980s was the Ova music studio. 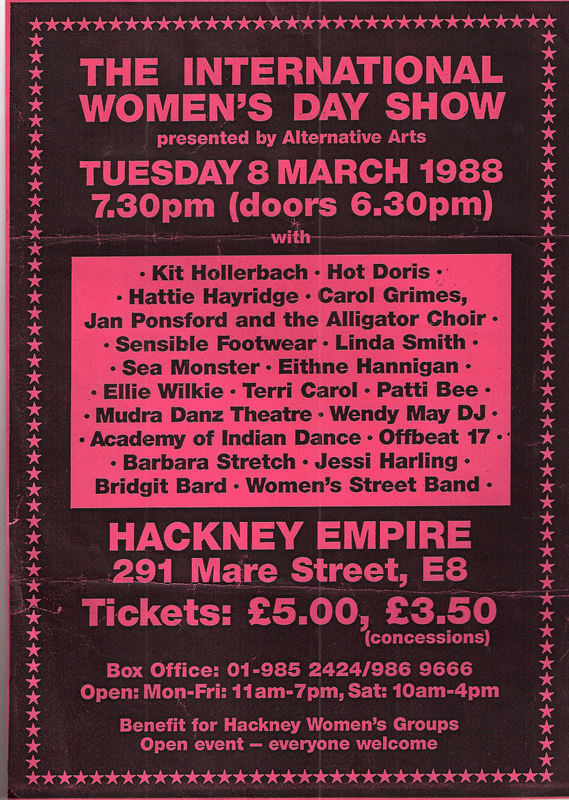 During the 1970s and 1980s women still had to fight to be in control of their own musical output, and were generally not allowed anywhere near the technology. 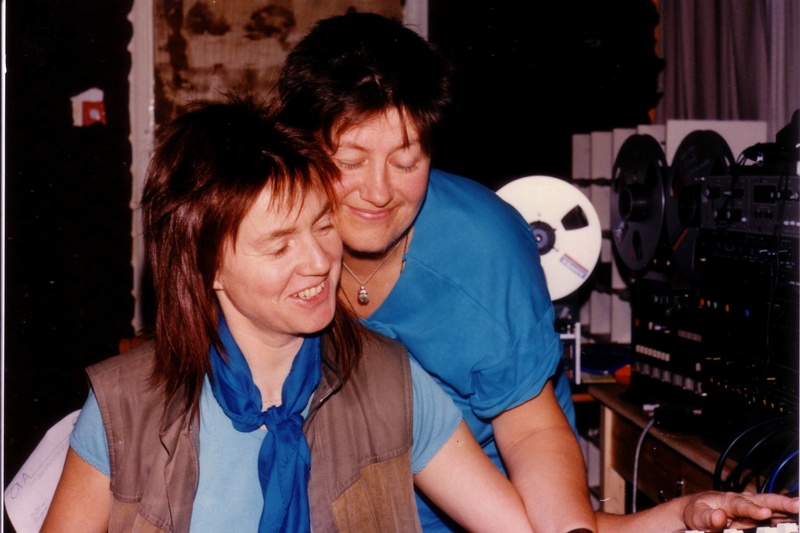 In 1989 Rosemary and Jana went their separate ways although the recording studio continued with different owners. 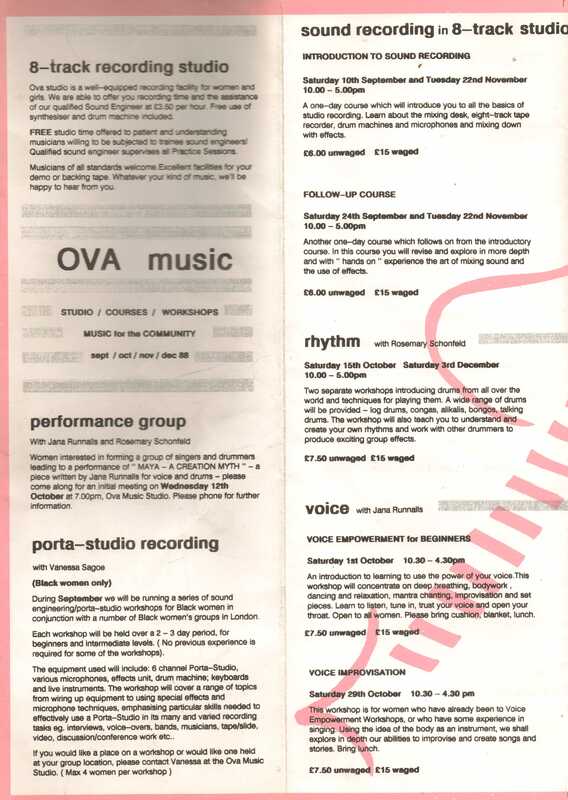 i worked with Ova as their Sound Engineer from 1983-1985. 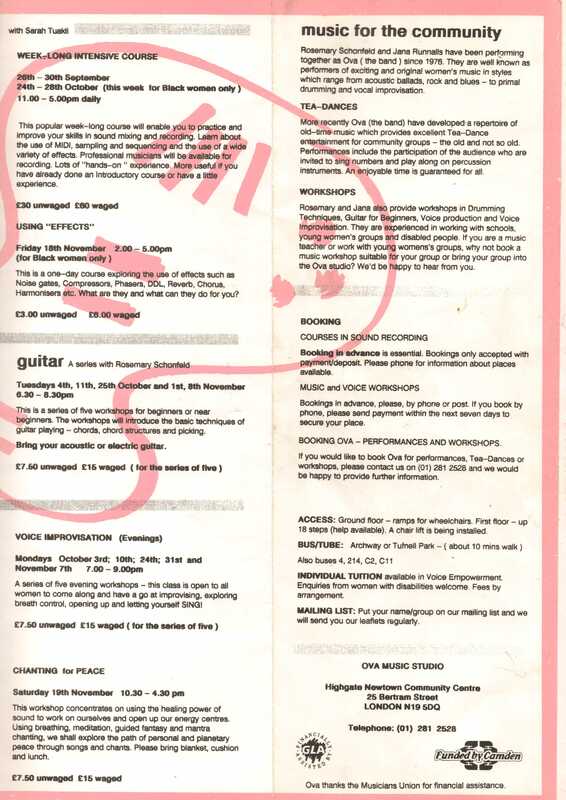 As well as engineering the live gigs here and in Europe, i ran Sound & PA workshops regularly in London. 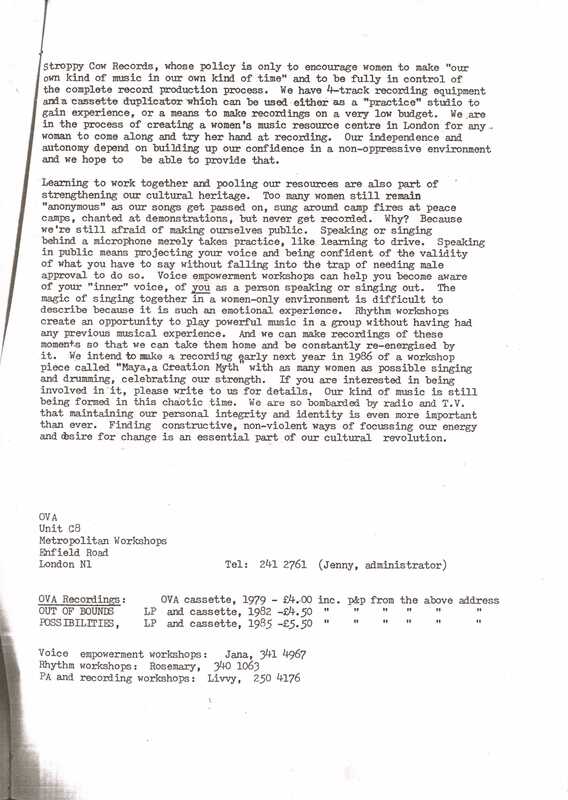 hi, i am currently doing a dissertation in women workin within music and found all this detail really relevant. 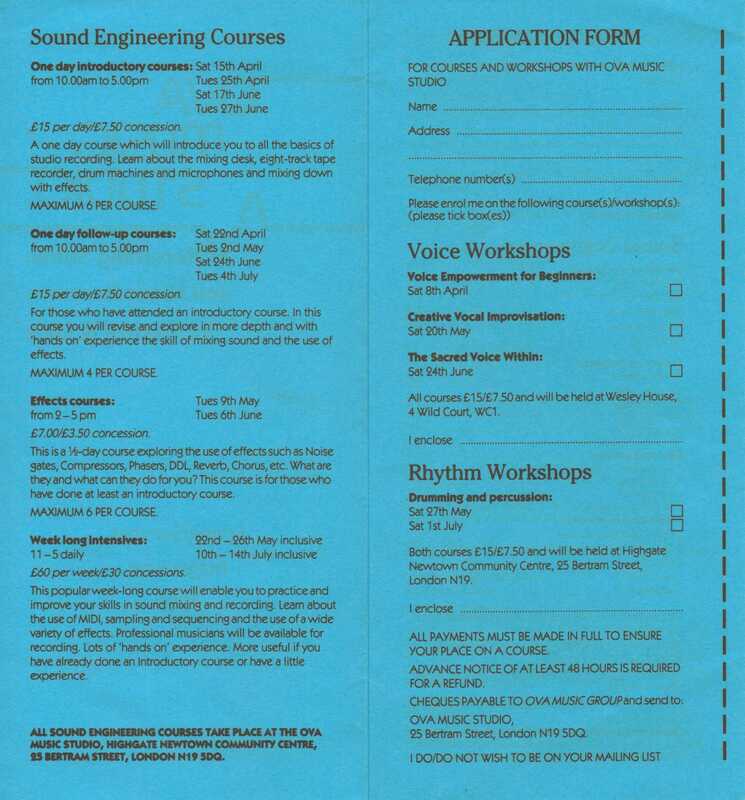 If there is anyone else who could help with information, engineers , producers this would really help me. hi Estelle, glad the information is relevant and useful. 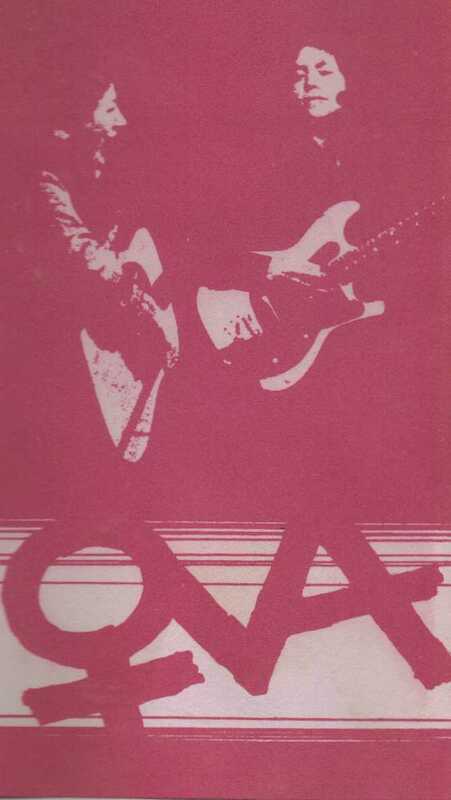 Do stay in touch and if you find anything that can be uploaded to the archive don’t hesitate to get in touch! Thanks Sasha! 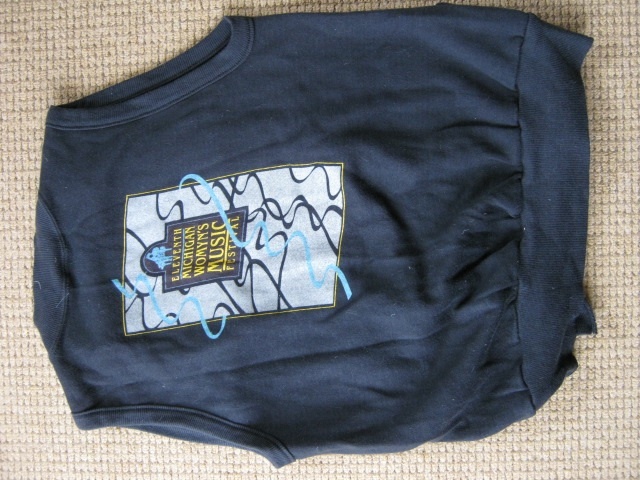 If you have any Greenham/ music connections you think would be good on here, please let us know!